Tristram's Woodpecker is a subspecies of the white-bellied woodpecker, the largest of all Asian woodpeckers. It was discovered by the English scholar and ornithologist, Henry Baker Tristram in 1879. Adults reach about 18 inches in length. Both male and female possess a crimson red crest, and their upper parts are black. 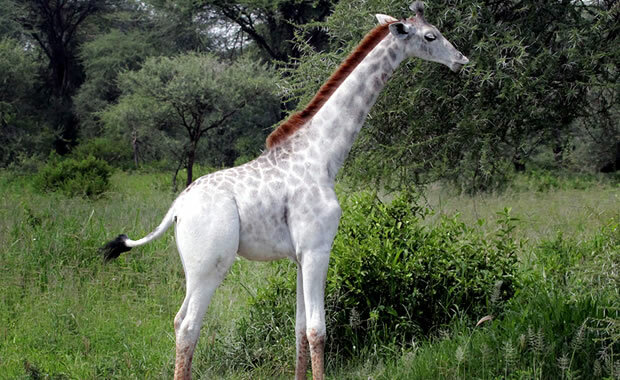 The underparts, wingtips, and rump are white, and they have red cheek patches. White-bellied woodpeckers prefer dense mountain forest habitat above 1000 meters, and they are also sometimes observed in urban areas of their range. Like other woodpeckers, they nest in large dead trees that are often alongside rivers. Some of these trees include chestnuts, oaks, poplars, and elms. The nests are built in hollow trunks of the trees. Before sunrise, they forage for insects found in the bark of the trees, and they return to the nest at sunset. Breeding occurs from April to May, and females lay three to four eggs. There are now less than 50 Tristram's woodpeckers left in the wild, and they are only found in North Korea. This species has suffered to do heavy hunting, loss of habitat to deforestation, and collection from the wild to be held in captivity during the late 1800s. The species was proclaimed as a National Monument in 1968 and is legally protected by the Korean government. Glenn, C. R. 2006. 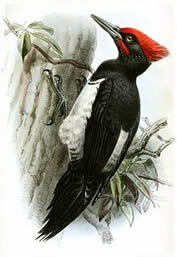 "Earth's Endangered Creatures - Tristam's Woodpecker Facts" (Online). Accessed 4/23/2019 at http://earthsendangered.com/profile.asp?sp=513&ID=3. Need more Tristam's Woodpecker facts?